German-American philosopher Hannah Arendt wrote at length on freedom and its relation to human rights. Arendt viewed freedom as the human capacity to begin and create something new by virtue of our natality (the fact that we are born into the world). She understood the realization of freedom as action among the plurality of others within the public sphere. This political world, which Ardent says is sustained only by continual action, is crucial to freedom because, “Men are free—as distinguished from their possessing the gift of freedom—as long as they act […] for to be free and to act are the same” (“What is freedom?” 151). Arendt applauds Augustine of Hippo—a Roman, Christian thinker—in his political treatise City of God for his ideas on man, which she incorporates into to her definition of freedom in the public sphere: “freedom is conceived there not as an inner human disposition but as a character of human existence in the world” (“What is freedom?” 165). Augustine declares man to be a beginning—a new being who enters a preexisting world that will continue to exist even after man perishes. Arendt summarizes Augustine’s most critical point: “Because he is a beginning, man can begin; to be human and to be free are one and the same. God created man in order to introduce into the world the faculty of beginning: freedom” (“What is freedom?” 166). Arendt finds the inherent worth in men and women to be a disruption to the destructive force to which all of nature is subject. That is, human beings are miracles in the fact that each of us is a disruption of natural processes; each is unique in the history of the world and by virtue of his birth as a new beginning each man has the potential to be free. The concept that ‘being human’ and ‘being free’ are one and the same becomes a central concept in Arendt’s discussion of human rights. As Arendt understands, to be human means to be among others. Men, as political animals, organize through community primarily for the sake of action, which Arendt defines in The Human Condition as “the only activity that goes on directly between men without the intermediary of things or matter” (The Human Condition 7). The presence of others, which Arendt refers to as the human condition of plurality or, “the fact that men, not Man, live on the earth and inhabit the world” (The Human Condition 7) is necessary for action because “we are all the same, that is, human, in such a way that nobody is ever the same as anyone else who ever lived, lives, or will live ” (The Human Condition 7–8). Plurality therefore encompasses the seemingly contradictory condition of humanity: every man is simultaneously equal and distinct. We are equal in that we are all human beings, yet we are distinct in that no two people can ever be interchanged for one another as a result of each man’s unique personal history and perspective (d’Entreves). The idea of plurality is therefore critical to Arendt’s definition of freedom, for if man is to act—to express himself through his words and deeds—he must exist in a pluralistic realm, which in turn allows him to live among others in a variety of relationships—romantic, educational, and political alike. Only within the context of plurality can man contribute to and interact with the world’s vast network of communities. We became aware of the existence of a right to have rights (and that means to live in a framework where one is judged by one’s actions and opinions) and a right to belong to some kind of organized community, only when millions of people emerged who had lost and could not regain these rights because of the new global political situation. The trouble is that this calamity arose not from any lack of civilization, backwardness, or mere tyranny, but on the contrary, that it could not be repaired, because there was no longer any ‘uncivilized’ spot on earth, because whether we like it or not we have really started to live in One World. Only with a completely organized humanity could the loss of home and political status become identical with expulsion from humanity all together. Since the initial publication of these words in 1958, international attention to human rights has significantly increased; however, the essence of Arendt’s words still rings true. More than sixty years later, people across the globe continue to be dehumanized and slaughtered, denied the right to freedom, and expelled from humanity as stateless nomads. It is upon Arendt’s definition and understanding of freedom and human rights that the following discussion of human rights in a modern, practiced context is based. Reeling from the atrocities of World War II, world leaders vowed to never again let man suffer such violations of his naturally endowed rights. Thus began the creation of the Universal Declaration of Human Rights (UDHR), a document intended to “represent(s) the universal recognition that basic rights and fundamental freedoms are inherent to all human beings, inalienable and equally applicable to everyone, and that every one of us is born free and equal in dignity and rights” (“The Universal Declaration of Human Rights and Law”). Put simply, a tall order. Adopted by the UN General Assembly on December 10, 1948 (“The Universal Declaration of Human Rights History”), the UDHR served as a complement to the creation of the United Nations, a cohort of nations whose primary objectives lay in the active maintenance of international peace and human rights. Both the UN and the UDHR work in the name of freedom, that is, the protection and promotion of human rights, through the universal recognition and respect of which men and women can live free. and John P. Humphrey (Canada) (“UDHR Drafters”). The final draft was presented in September of 1948 at a conference in Vienna where over fifty member states participated. Four months later the UDHR was implemented, with eight nations abstaining from the vote and zero dissents (“The Universal Declaration of Human Rights History”). As of 2014, 193 nation states are members of the UN and claim to uphold the UDHR (“Members, United Nation, Growth, History of Organization”). Since its inception, according to the official website for the UDHR, the document “continues to be an inspiration to us all whether in addressing injustices, in times of conflicts, in societies suffering repression, and in our efforts towards achieving universal enjoyment of human rights” (“The Universal Declaration of Human Rights and Law”). This statement inspires hope and can hardly be denied, but ultimately raises the questions, Is ‘universal enjoyment’ realistic or achievable? Can universal principles be accurately applied to such a diverse global audience? Whereas recognition of the inherent dignity and of the equal and inalienable rights of all members of the human family is the foundation of freedom, justice and peace in the world […] Whereas the peoples of the United Nations have in the Charter reaffirmed their faith in fundamental human rights, in the dignity and worth of the human person and in the equal rights of men and women and have determined to promote social progress and better standards of life in larger freedom, / Whereas Member States have pledged themselves to achieve, in co-operation with the United Nations, the promotion of universal respect for and observance of human rights and fundamental freedoms, / Whereas a common understanding of these rights and freedoms is of the greatest importance for the full realization of this pledge. The UDHR cannot be effective unless all those who pledge to uphold it can understand the dignity of human beings and their right to both act and appear in the public sphere. Until every nation-state is able to understand the basic concept of freedom in the same way, then it is impossible to uphold any type of universal freedom on the basis of this document. The language and principles set forth in the UDHR can hardly be denied, yet in presupposing a universal definition of freedom the declaration loses traction, especially in stating, “whereas a common understanding of these rights and freedoms is of the greatest importance for the full realization of this pledge” (“The Universal Declaration of Human Rights Document”). If that statement, which is arguably the single most important element of the document, also serves as its biggest flaw, then how can the UDHR be expected to serve as the world’s ‘rule’ for the preservation and promotion of freedom and how genuine can we consider the commitment of nation-states to these principles? Equipped with the UDHR, the UN, and endless laws, it seems that there would be no room for injustice to permeate the lives of any man, woman, or child in this world. Time and again, however, the world bears witness to extreme intolerance and persecution motivated by a variety of factors including ethnicity, race, religion, and gender, to name a few. One need look no farther than the 1994 Rwandan Genocide and the 2013 crisis in South Sudan to understand shortcomings of the UN and its struggle to implement the UDHR on a global stage. 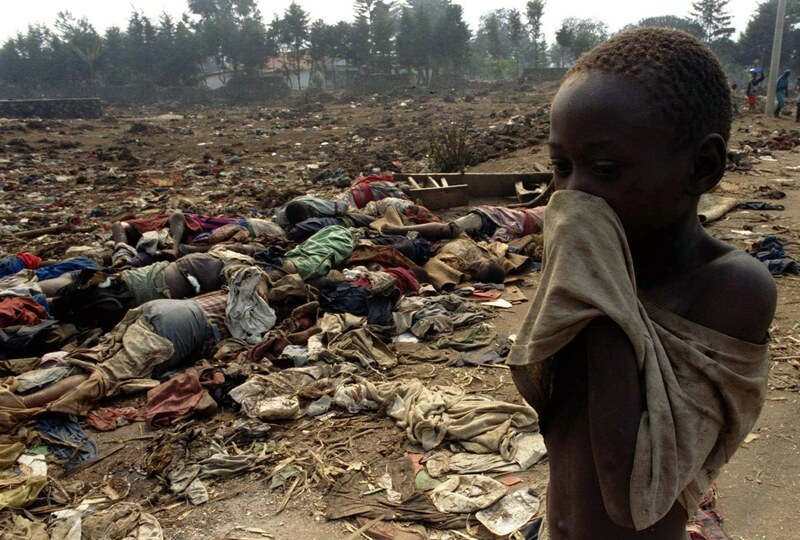 On April 6, 1994 the Hutu people, an ethnic subset of the Rwandan people, began a 100-day genocide against their Tutsi countrymen in which nearly one million people were brutally murdered (Berdal). Once the violence began, the US, Belgium, and France moved swiftly and effectively to remove their delegates, ambassadors, and citizens—and then just as promptly as they had arrived, abandoned all aid to Rwanda, turning their backs and allowing the bloodshed to persist and intensify. Roméo Dallaire, commander of UN peacekeeping forces in Rwanda, notes in his memoir of the event entitled Shake Hands with the Devil the need for and subsequent abandonment of all help in Rwanda. His memoirs, as recounted by Mats Berdal’s article “The United Nations, Peacebuilding, And The Genocide In Rwanda,” emphasize the following: “The skill, speed, and efficiency that all three countries displayed in mounting a rescue operation for their own nationals during the first days of the genocide were most impressive. In doing so, they also demonstrated to Dallaire that a rapid and robust reinforcement of the mission was perfectly within their means” (Berdal). Even more staggering than the abandonment of help is the fact that “the rapid deployment of some 5,000 troops in the critical early period of the genocide, between 6 and 22 April, would have allowed the UN to stop, or at least substantially slow down, the killings” (Berdal). Not only did UN forces disengage from the situation of mass bloodshed, but on April 22, Dallaire received news that UN forces in the country would be reduced to a “skeleton force (some 450 personnel of all ranks)”, therefore diminishing their presence to a point that endangered the lives of UN personnel left behind (Berdal). In his memoir, Dallaire describes the late days of the genocide as living in a, “cesspool of guts, severed limbs, flesh-eating dogs and vermin” during which each trip from UN headquarters was like a “decent into the inferno” (Berdal). How was it that the world stood by and turned a blind eye to the brutal murder of approximately one million innocent men, women, and children in their homes, churches, and schools? Where was the world’s sense of obligation to uphold “the promotion of universal respect for and observance of human rights and fundamental freedoms” (“The Universal Declaration of Human Rights Document”) as corpses were dismantled by dogs and left to rot in the open streets? How many people needed to be dehumanized, slaughtered, and thrown into a state of chaos in order to warrant intervention? What does ‘universal’ actually mean if for 100 days the world allowed more than 10 million Rwandans to live in conditions likened to hell? In the case of Rwanda, the UN nation-states made it all too clear that universal human rights need only be upheld when convenient and beneficial to a larger interest. In the words of Arendt, “No paradox of contemporary politics is filled with a more poignant irony than the discrepancy between the efforts of well-meaning idealists who stubbornly insist on regarding as “inalienable” those human rights, which are enjoyed only by citizens of the most prosperous and civilized countries, and the situation of the rightless themselves” (Origins of Totalitarianism 279). Failure to confront an abuse of human rights in Rwanda in an event that displaced millions both physically and emotionally has perpetuated in the Democratic Republic of the Congo and serves as a glaring reminder of the world’s deliberate neglect for freedom and lives in 1994. In his final speech to the Canadian Senate on June 18, 2014, Dallaire spoke of the recurrent consequences of the international community’s response to the Rwandan genocide. 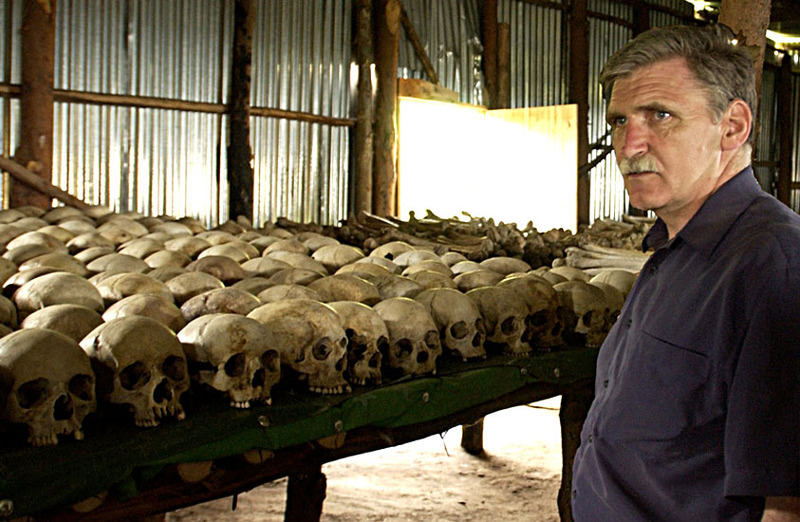 Dallaire said, “I cannot imagine a greater tragedy than the Rwandan genocide, but this conflict, which has resulted in over 5.5 million deaths in the Congo, continues to worsen. That is because of our ineffectiveness in Rwanda. The conflict that occurred in one country destabilized a region” (Dallaire). A failure to uphold freedom in one instance became an invitation for evil to exploit freedom in another. In an example that brings human rights into the present day, we might consider South Sudan and the issues that there arose with the UN in 2013. On July 9, 2011 South Sudan became the newest country in the world when its leaders signed a “Comprehensive Peace Agreement” (CPA) which cumulated a six-year peace process and more than twenty years of fighting between the Government of Sudan and the Sudan People’s Liberation Movement (“UNMISS Background”). During South Sudan’s transitional period into nationhood, the UN supported the implementation of the CPA. 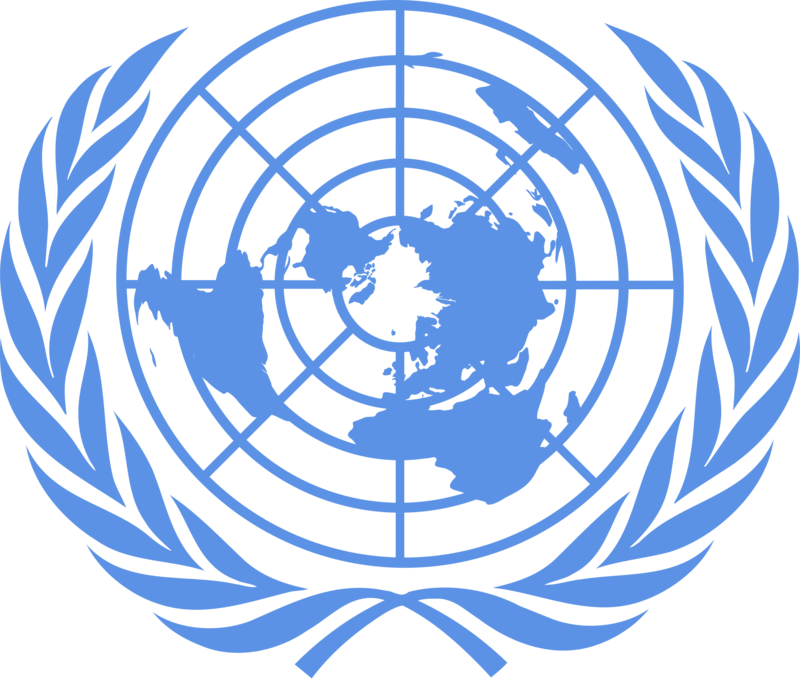 Two years later, during the conflict in December 2013, this led to confusion and misconception about the objectives of the United Nations Mission in South Sudan (UNMISS), as allegations of UNMISS being partial and aiding anti-government forces surfaced and fueled a growing anti-UN sentiment in the country (Giovanni). In a simplified analysis of the events, on December 15, 2013 politically motivated violence erupted in South Sudan’s capital city, Juba, when President Salva Kiir declared that soldiers loyal to former deputy President Riek Machar had tried to launch a coup. The accusation provoked violence, especially between the Dinka and Loud Nuer ethnic groups, the first to which President Kiir belongs and the latter with which Machar identifies (“South Sudan: UN Moves”). Violence soon spread throughout the country, generating mass panic among citizens (“South Sudan: Massacres”). As a result of growing hostilities and escalating violence, thousands of South Sudanese were killed, especially as a result of ethnically motivated civilian attacks (Giovanni). These attacks upon civilians, which defy human rights law outright, were the beginning of a rapid deterioration of the humanitarian situation in South Sudan. More than 500,000 peoples were displaced within the country in addition to the roughly 74,300 peoples who crossed into neighboring countries within the first four weeks of the conflict alone (“South Sudan: Massacres”). By the end of February 2014, just two months after the onset of disorder, the total displacement of South Sudanese had grown to more than 900,000 persons, not to mention the more than 3.2 million people considered to be in a state of ‘acute’ food insecurity (“South Sudan: Massacres”). 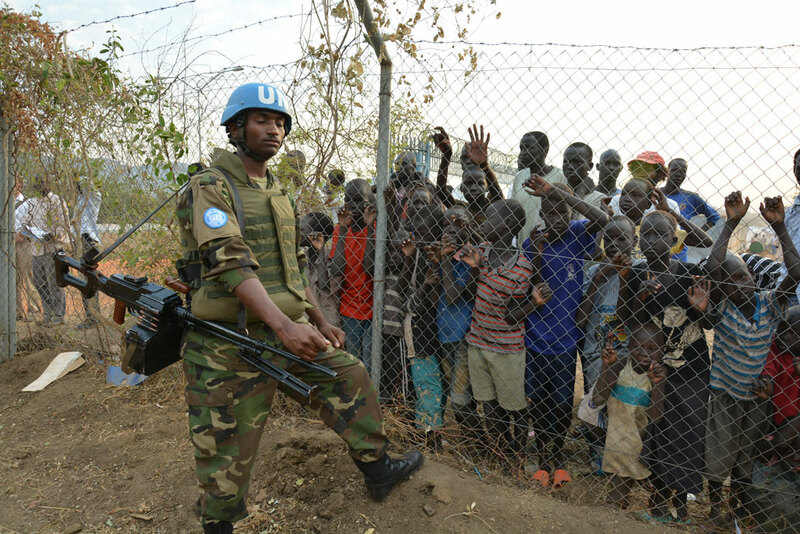 The United Nations Mission in South Sudan (UNMISS) has a mandate to use force to protect civilians under imminent threat of serious harm, but its failure to intervene against a clear pattern of unlawful killings and other serious violations by South Sudan’s army in Murle areas of Pibor state has undermined public confidence in the peacekeepers. In addition, the mission failed to publicly report on violations by security forces […] reinforcing a perception that the mission values its relationship with the government over holding authorities to account for violations. The following video by Human Rights Watch explains the situation in South Sudan and provides insight from South Sudanese citizens. Please note that the following content is graphic. These substantial human rights violations in South Sudan have destabilized the region in the present and will likely perpetuate unrest for years to come. In this case, a failure to ensure freedom has left millions in terror, on the brink of death, or dead. Hidden and cowering in fear, displaced and starving, the peoples of South Sudan have been stripped of their ability to enter the public sphere, let alone act in it. The South Sudanese have been forced to flee from their homeland for fear of ethnically motivated violence and essentially face, as Arendt says, “expulsion from humanity all together” (Origins of Totalitarianism 297). Without a serious commitment from the international community to uphold the principles of ‘freedom’ that they—by means of the UDHR—claim to support in the highest standard, millions more will become victim to the terror and suffering that now defines the region. The actualization of freedom on a universal scale is far more complex than our current global ‘solutions’ might imply. We must do more to help our “human family” (UDHR) achieve freedom so that no man finds himself in a circumstance like that of Rwanda or South Sudan. Freedom is not a luxury reserved for the fortunate, nor is it simply a gift that we possess. The Stanford Encyclopedia of Philosophy elaborates: “Rather, by freedom Arendt means the capacity to begin, to start something new, to do the unexpected, with which all human beings are endowed by virtue of being born. Action as the realization of freedom is therefore rooted in natality, in the fact that each birth represents a new beginning and the introduction of novelty in the world” (d’Entreves). In the words of Arendt herself, “the new beginning inherent in birth can make itself felt in the world only because the newcomer possesses the capacity of beginning something anew, that is, of acting” (The Human Condition 9). Despite our entry into the world as individuals, we are equalized by our capacity to act and fulfill our freedom. Augustine of Hippo employs the story of Genesis to explain this universal commonality and our shared heritage: “it is not hard to see that it was far better that [God] should have started, as he did, with one man, whom he created as the first man, and should have multiplied the human race from him, instead of starting with many” (Augustine 502). The creation of mankind from a single person, Adam, becomes especially significant in comparison to God’s creation of animals, which He divided into species and commanded into existence at once. Though the story of Genesis is myth, it serves as a legitimate entry into the understanding of freedom and human rights: each man is unique, yet equal on the most fundamental level—that is, in being human. With an understanding of shared heritage, is it important that to ask: are we, as a collective human body, doing enough to realize freedom for our fellow global citizens? The short answer is no, not even close to enough. We are, however, making progress in a positive direction. There lays a long, arduous journey ahead, in which bloodshed and persecution will realistically persist, but it nevertheless remains imperative that we, as citizens of the world, attempt to identify and combat injustice wherever it lingers; be it through universal agreements like the UDHR or active bodies such as the UN. The world’s nations may not all understand the true definition of freedom—as the ability of both men and women to appear, act, and share opinions in the public sphere—but the language and standards set forth in the UDHR are absolutely necessary in beginning to change the mindset of those who view ‘freedom’ as something different. However flawed UN missions have proven to be, it is certain that we are at least closer to realizing universal freedom when an effort is made to fight the human rights violations present on this earth. So again we must ask, are we doing enough? Do the UN and UDHR do enough? The answer remains no, but the UN and UDHR are crucial first steps towards the actualization of a world in which all men are free, as they were born to be. There are no easy solutions to the current problems concerning human rights. There is no foolproof method to secure freedom for the masses. There is, however, alongside the human capacity for freedom, the capacity for love and justice, solidarity and courage. If man commits to fostering these principles and pursuing a universal definition of freedom not only in the name of human rights, but also in the name of mankind, then perhaps the world’s people will be able to experience a birth into the realm of freedom. Augustine, Bishop of Hippo. “The Creation of Man.” City of God. London: Oxford UP, 1963. 502-03. Print. Arendt, Hannah. “The Decline of the Nation-State and the End of the Rights of Man.” Origins of Totalitarianism. New York: Meridian, 1958. 267-302. Print. Arendt, Hannah. The Human Condition. 2nd ed. / Chicago: University of Chicago Press, 1998. Print. Arendt, Hannah. “What Is Freedom?” Between Past and Future. New York: Penguin, 2006. 142-69. Print. Berdal, Mats. “The United Nations, Peacebuilding, And The Genocide In Rwanda.” Global Governance 11.1 (2005): 115-130. Academic Search Premier. Web. 19 Nov. 2014.
d’Entreves, Maurizio Passerin, “Hannah Arendt”, The Stanford Encyclopedia of Philosophy (Summer 2014 Edition), Edward N. Zalta (ed.). 10 April 2014. Web. 7 Dec. 2014. Giovanni, Janine di. “Waiting For Death To Arrive.” Newsweek Global 162.3 (2014): 21-32. Academic Search Premier. Web. 24 Nov. 2014. “Members, United Nation, Growth, History of Organization.” UN News Center. UN, n.d. Web. 02 Dec. 2014. Roosevelt, Eleanor. 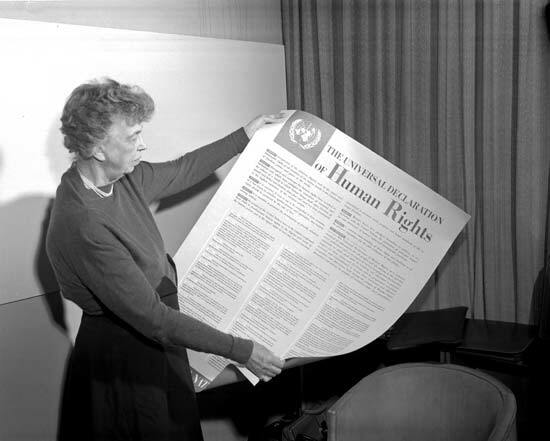 “Eleanor Roosevelt — “The Struggle for Human Rights”” American Rhetoric. American Rhetoric, n.d. Web. 24 Nov. 2014. “South Sudan: Massacres, Unlawful Killings, Pillage.” Human Rights Watch. Human Rights Watch, n.d. Web. 20 Nov. 2014. 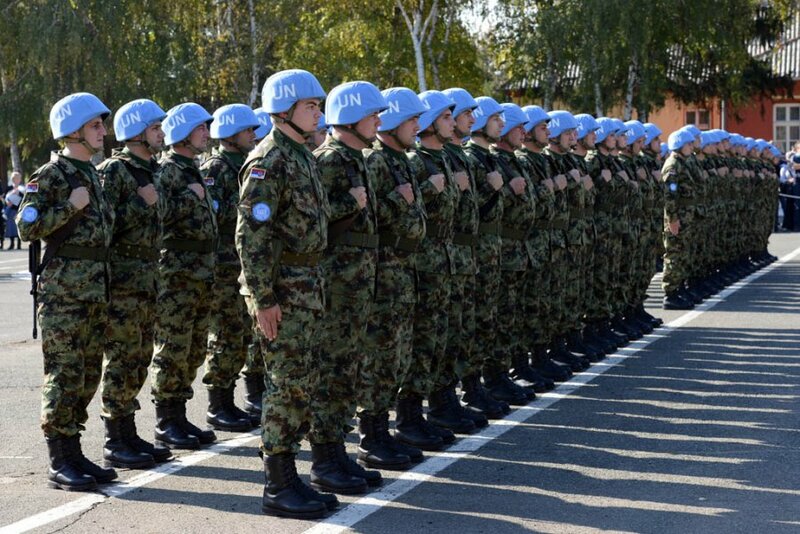 “South Sudan: UN Moves on Political and Peacekeeping Fronts to Staunch Fighting.” UN News Center. UN, 30 Dec. 2013. Web. 20 Nov. 2014. “The Universal Declaration of Human Rights Document.” UN News Center. UN, n.d. Web. 16 Nov. 2014. “The Universal Declaration of Human Rights History.” UN News Center. UN, n.d. Web. 16 Nov. 2014. “The Universal Declaration of Human Rights and Law.” UN News Center. UN, n.d. Web. 16 Nov. 2014. “UDHR Drafters.” UN News Center. UN, n.d. Web. 16 Nov. 2014. “UNMISS Background – United Nations Mission in the Republic of South Sudan.” UN News Center. UN, n.d. Web. 20 Nov. 2014. “World Report 2014: South Sudan.” Human Rights Watch. Human Rights Watch, n.d. Web. 20 Nov. 2014.